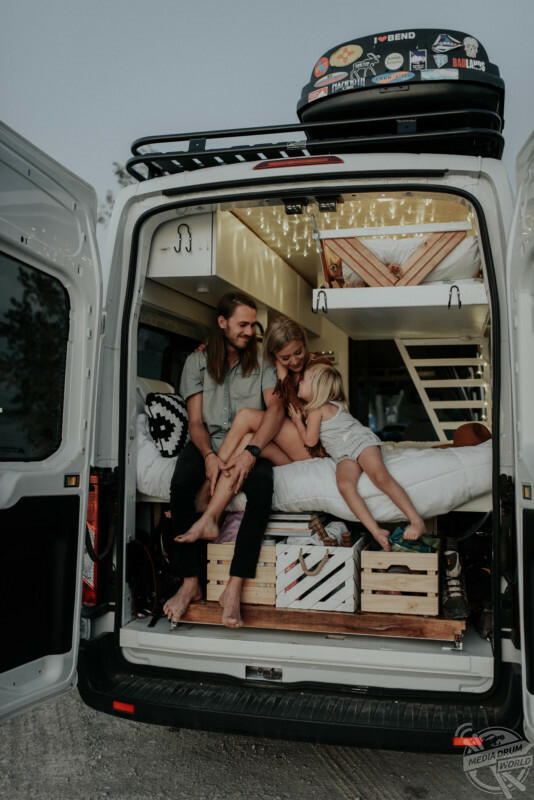 MEET the family with more than 20K Instagram followers who have clocked up 36K miles living life on the road from their stunning self-converted Ford Transit 350 van. 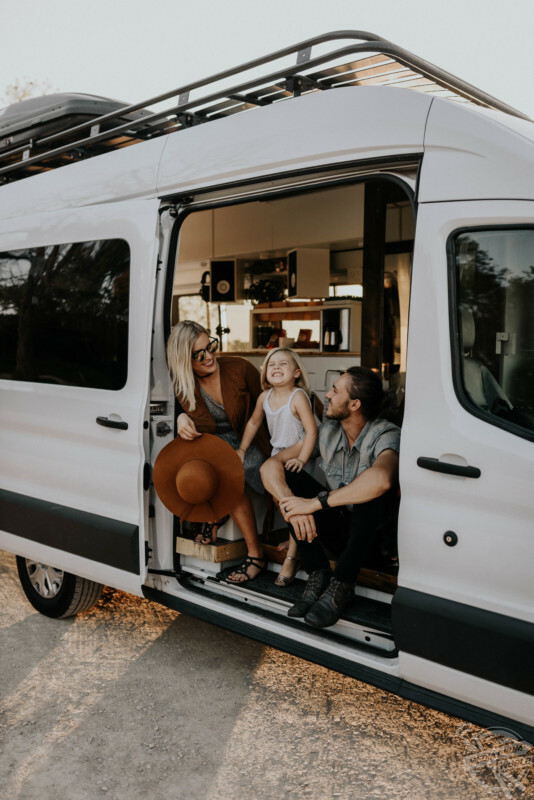 Pictures show Mars and Ashley Fite, 24 and 30 respectively, from Oklahoma, USA, relaxing in the back of their sleek and spacious van with their three-year-old daughter Everly. 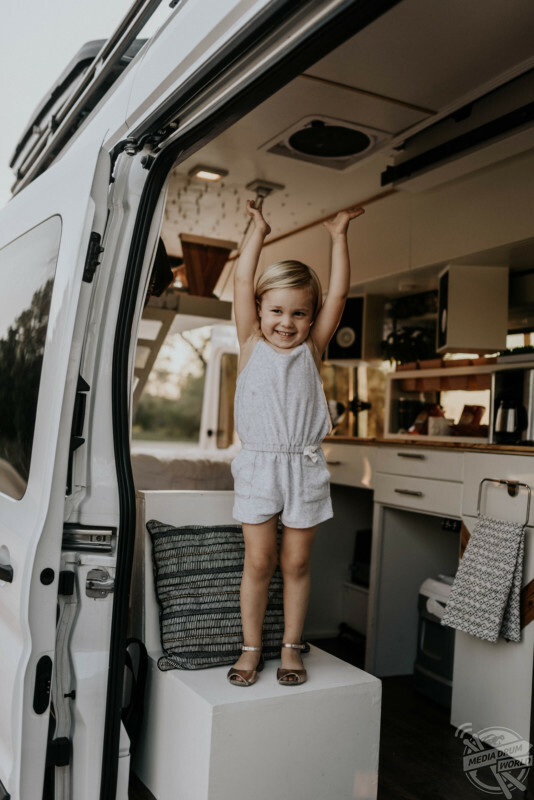 The idea to buy and refurbish a van came after they went on a 48-state road trip as a family in 2016 when Mars and Ashley realised that travelling with a young child wasn’t as daunting as they first thought. 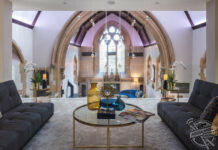 It took the couple four months to complete the refurbishment, spending approximately £5,700 on the build which included setting up the solar panels and accessories. 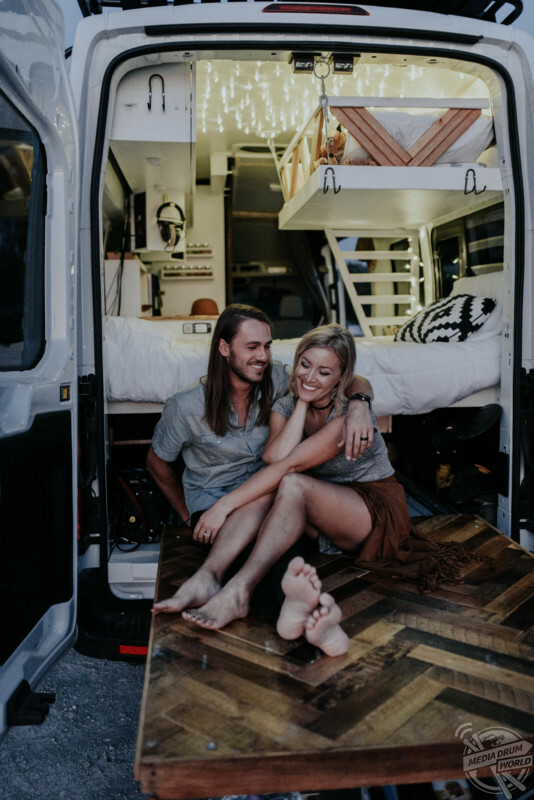 Ashley described the van’s features. 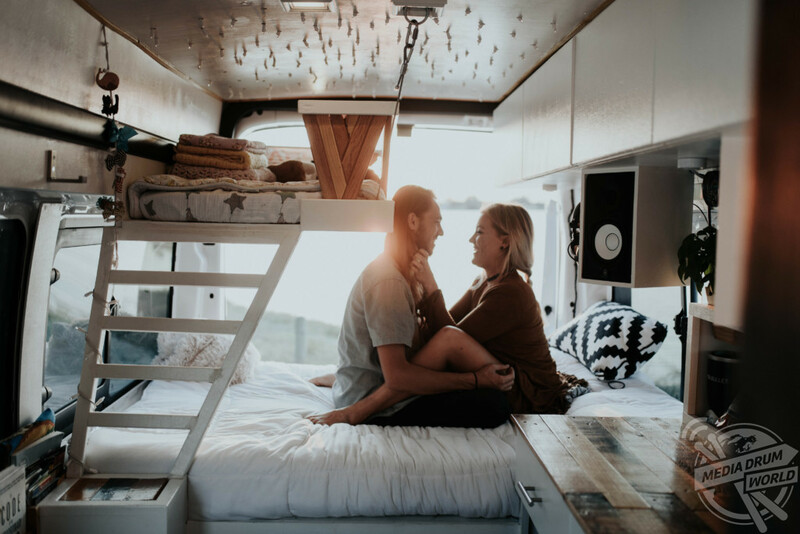 “We have a pull-out deck on the back of the van that we use to lounge on when the weather is nice. There is also an Aluminess roof rack that holds our solar panels, bikes, paddle board and car topper for extra storage. We use it as a rooftop deck, and it’s our favourite spot. We spent hours up there looking at the Milky Way outside of Moab, NM,” she said. 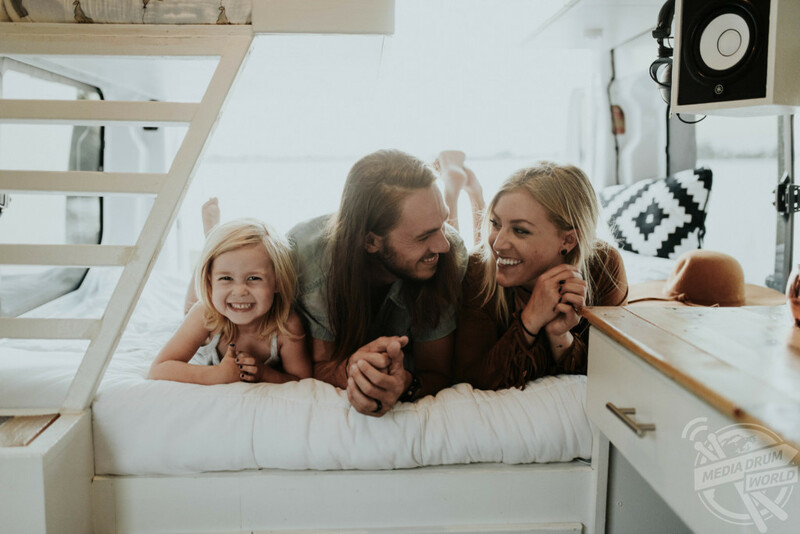 “Everly has her own loft above our bed so we can have our own spaces. We put in a “starlit ceiling” for her as well using Christmas lights. We created a bathroom behind the driver’s seat that is hidden behind a sliding barn door. “We used pallet wood for the pull-out deck, countertops and stairs leading to Everly’s loft. 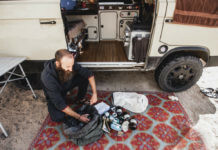 “Life in the van gives us the ability to be constantly creative. Our minds always get to play with new ideas, like where we want to wake up the next morning, or what to cook for the week. 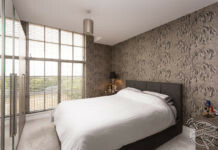 “We get to discover new ways to create routines and personal space/alone time in a small space. It isn’t as easy to get away from each other and it causes you to face your issues and grow as a person. You really get the opportunity to become your best self. 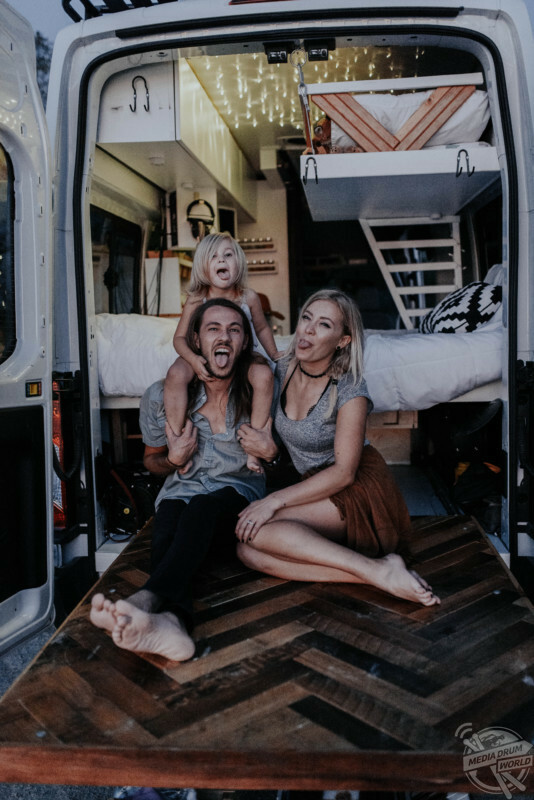 The family are currently based in Denver, Colorado, USA, and have travelled through 48-states together, parts of Canada, Mexico and the Dominican Republic and they don’t see van life ending for them any time soon with hopes of travelling down through Central America and through Canada to Alaska and throughout Europe and Australia. 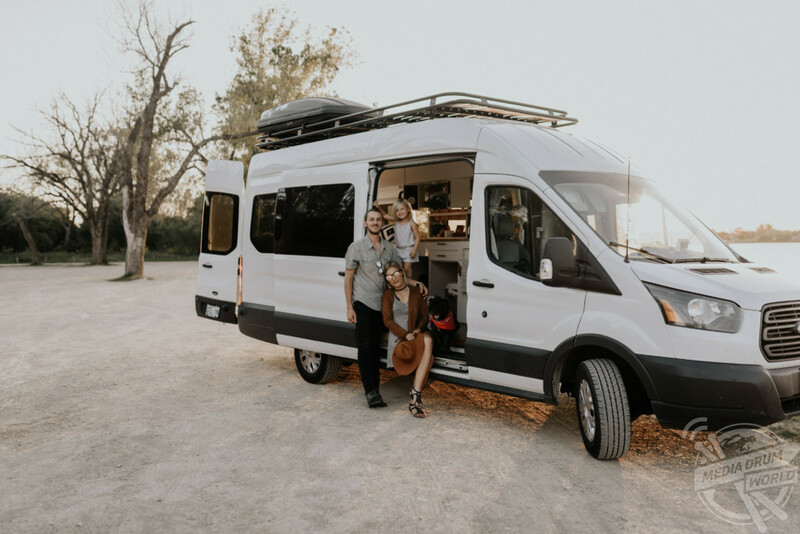 Having had no serious build issues on the road, the family said the most difficult part about life on the road has been maintaining their relationships. Ashley also described their daily routine. “I think the biggest issue we’ve faced is maintaining our social relationships. We are all pretty extroverted and love meeting new people. However, there is something about being a part of a community of people you really know and who know you that we miss out on,” said Ashley. “Technology is great and it allows us to keep in touch with people, and being on the road allows us the freedom to visit people anytime. It just becomes a different type of relationship than friend groups you see every Tuesday night, for example. “We wake up and all cuddle, somehow everyone ends up in our bed. We make breakfast and plan out our day. Mars is currently working with a new startup in Denver for the next month or so. He leaves for work and I get Everly situated with something crafty so I can work from home for a while. “We spend our afternoons outside or exploring whatever place we are in. We get back around the time Mars gets home and we go to the gym and then make dinner. Lately we’ve been spending the evenings out exploring. “We put Ev to bed and have some time to ourselves. It’s found a really great flow. In May, we will be traveling along the East coast of the states, so the routine will change, and we will find a new flow that works. “Part of living this lifestyle is adaptability. We have to be able to change and let go and try new ways of doing things. “Every time we have acted on a seemingly crazy idea, it has made our lives better whether or not the idea worked out. Van life continues to surprise us. It’s made us so thankful for things we took for granted before living this lifestyle. 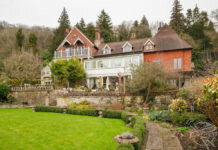 “We are conscious of how much water we use because we only have a seven-gallon fresh water tank. We pay attention to the sun and how much power we are bringing in to our battery station. Ashley shared her words of advice to others. “If you want to live this lifestyle, you absolutely can. You have to want to, and you have to like a challenge,” she said. “Do it for fun, but also do it to grow as a person. Then, no matter what situation you find yourself in, you will always be having fun and/or becoming a better version of yourself.